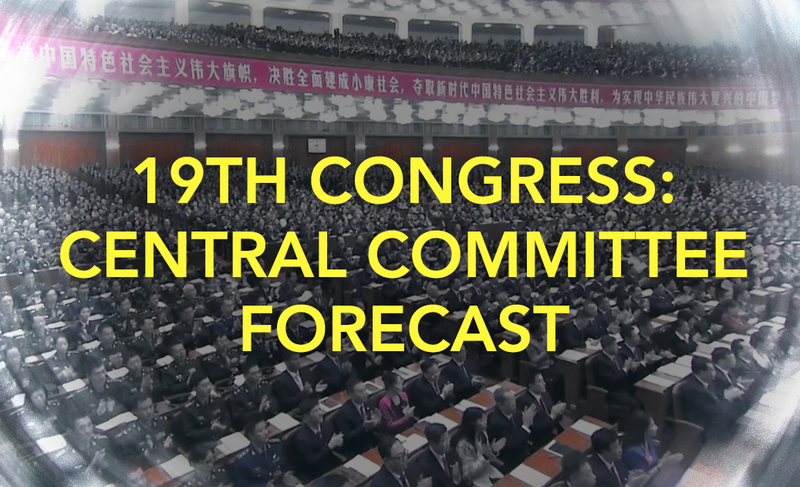 ◎ Presenting our forecast of which officials will make the 19th Central Committee. The Chinese Communist Party will hold elections for the 19th Central Committee and 19th Central Discipline Inspection Commission on Oct. 24, the final day of the 19th Party Congress. The next day, the new Central Committee will hold its first plenary session and elect the Politburo and its Standing Committee, the Central Military Commission members, as well as the CCP General Secretary (or CCP Chairman). 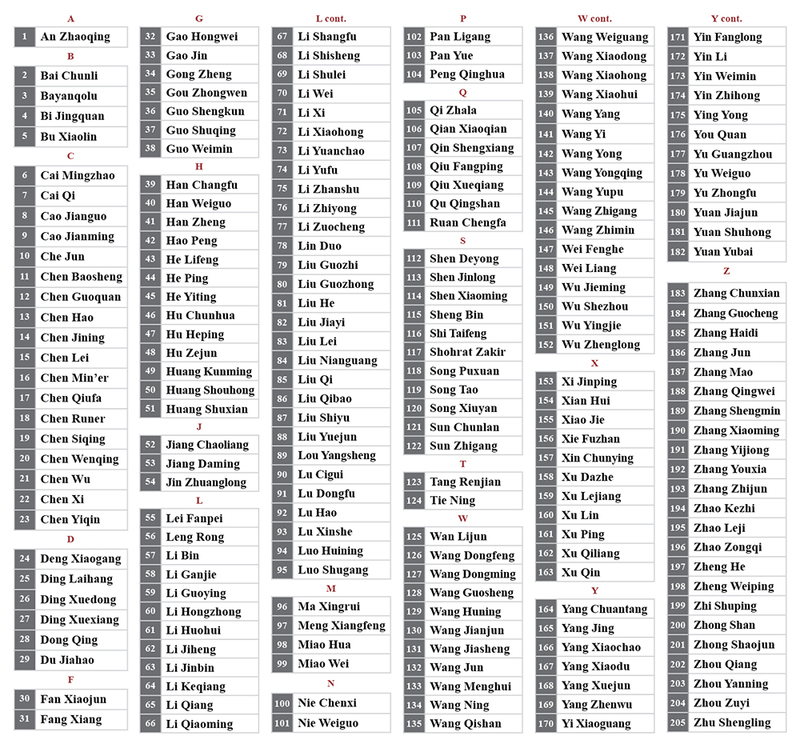 The composition of the Central Committee has some degree of influence over the makeup of the top CCP leadership. So Xi Jinping has to carefully vet the Central Committee members to ensure that voting for the senior leadership positions goes his way. The 18th Central Committee comprised 205 members and 171 alternate members. The majority of these members are senior CCP officials and military generals, as well as key provincial personnel and the leaders of various societal groups. Below is our forecast of which officials will make the 19th Central Committee (arranged alphabetically by family name).